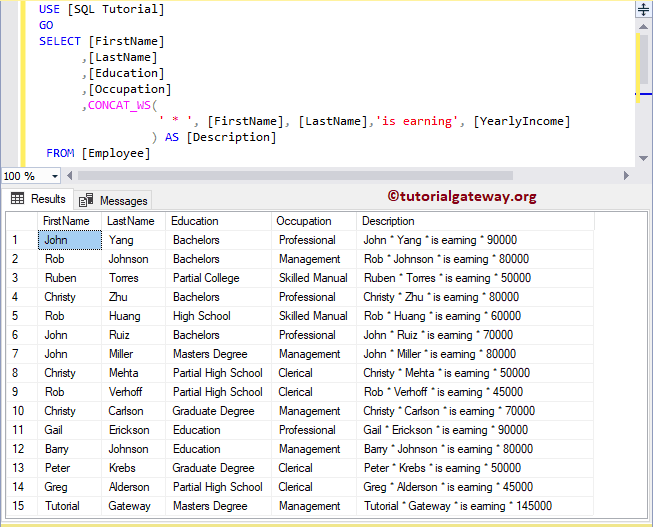 The SQL CONCAT_WS one of the String Function, which is used to combine two or more strings using the user specified separator, and returns string. 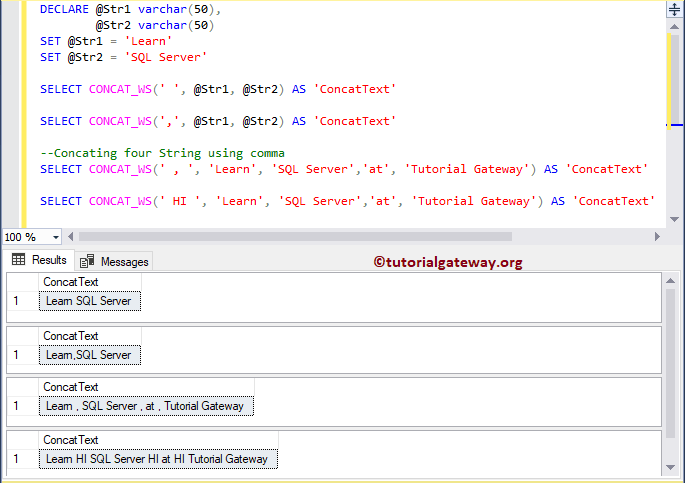 In this article we will show you, How to write string concat_ws in SQL Server with example. 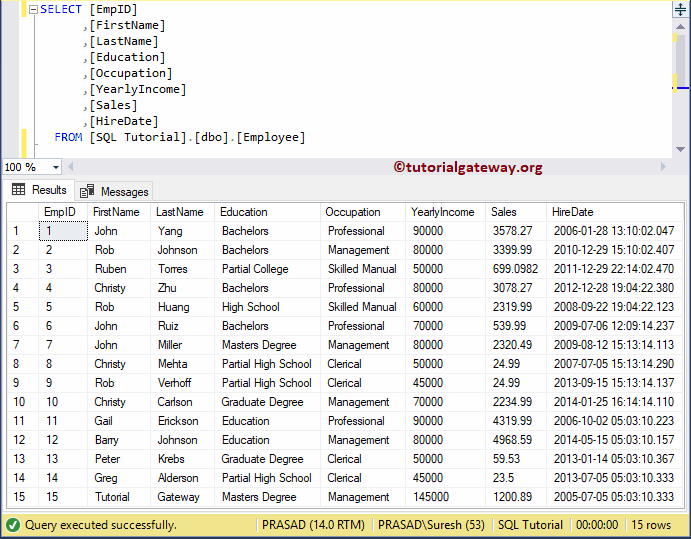 TIP: Please refer SQL Concat function to understand the normal concatenation. The String CONCAT_WS Function returns a string by concatenating two or more strings using separator. The following query will show multiple ways to use this string Concat_ws function. Within this string concat with separator example, the below statement concatenate str1 and str2 using space. We also assigned new name using ALIAS Column. In this example,We are going combine the First name, Last Name, yearly Income columns present in the Employee table, and text = ‘is earning’.